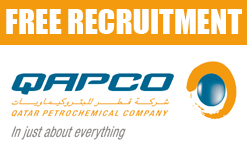 Qatar Petrochemical Company (QAPCO) Q.S.C. has grown over the years to be recognized as one of the largest producers of low-density polyethylene (LDPE) in the Middle East. The company produces a wide range of LDPE grades that are suitable for all thermoplastics processing techniques used for various applications. These include food packaging, agricultural films, extrusion and coating lamination films, high-clarity films, injection moulding, cables, wires, foam and other products that are widely used all over the world. LDPE also plays a key role in the development of green building solutions. LDPE is considered as the most commonly used type of plastic. Thanks to its innovative applications, it makes our daily lives more practical, safer and greener. QAPCO’s food-grade polymers comply with EU and US FDA standards related to food packaging safety. QAPCO was established in 1974 as a joint multinational venture to utilize the associated and non-associated ethane gases from petroleum production in line with the industrialization plan of the State of Qatar. The company commenced commercial production in 1981. QAPCO’s unwavering commitment to quality and reliability acted as a catalyst, rapidly propelling the company on the global petrochemical scene. QAPCO’s shareholders are Industries Qatar (80%) and Total Petrochemicals France (20%).